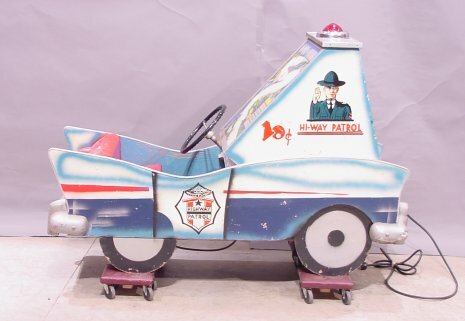 Description: Hiway Patrol, All-Tech Industries (Florida), late 1950s (exact date unknown), Hi-way patrol is sort of a kiddie ride with an adult steering wheel and a drum type driving mechanism characterizing a cop chasing cars down the highway. 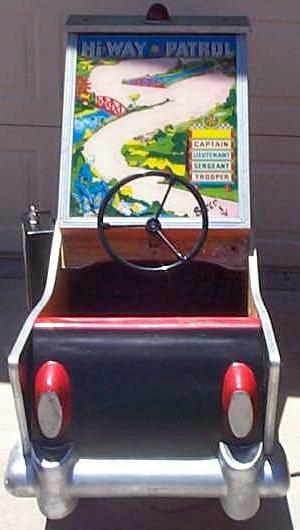 The object of this game is to pull over the speeding getaway car before it goes over the bridge and you loose him (the object of the game is to catch the bad guy). 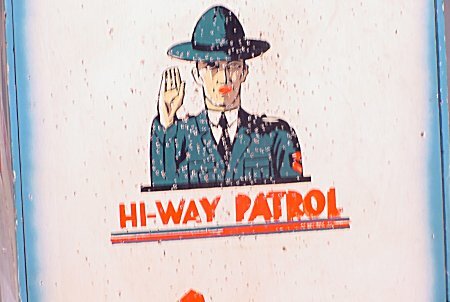 Has light animation for the getaway car and a highway patrol car that move across the backglass showing the cars driving down a curving road. 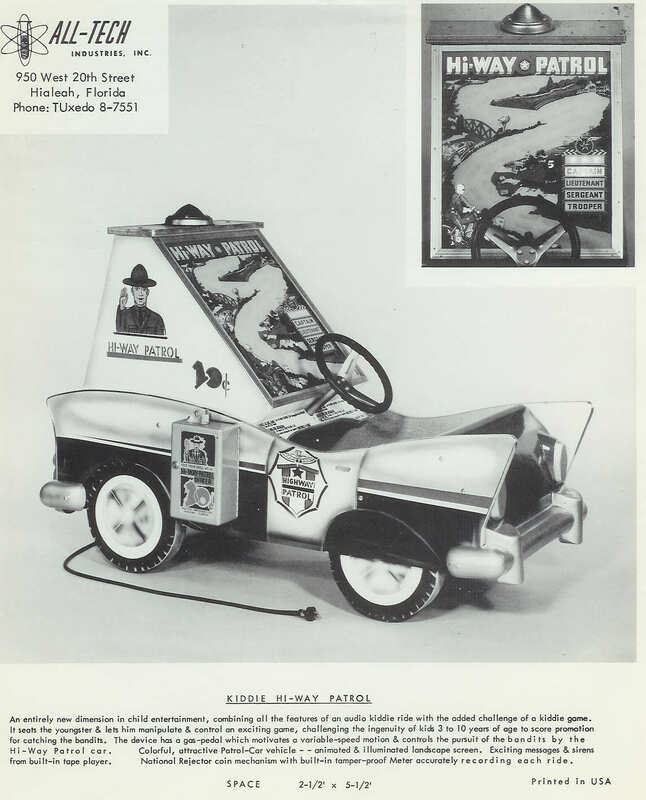 The screen lights up and shows your car (a 1950's chevy black and white police car) and the getaway car (a 1950's buick or chevy). Each car is in its own lane. 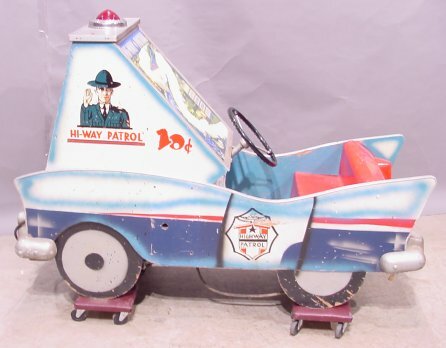 There is a gas pedal in the floor of the ride which allows the patrol car to speed up or slow down to catch the robber. 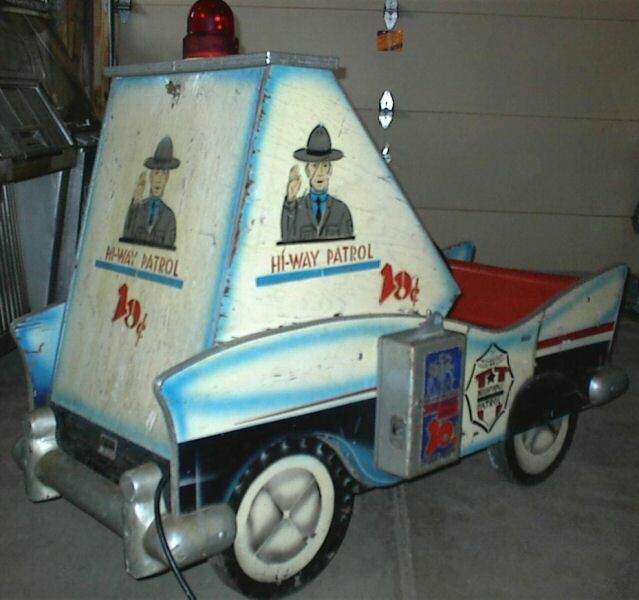 Once along side him, steer the cop car into the robber to cut him off (as the instructions state say) and hit his car and gain points. 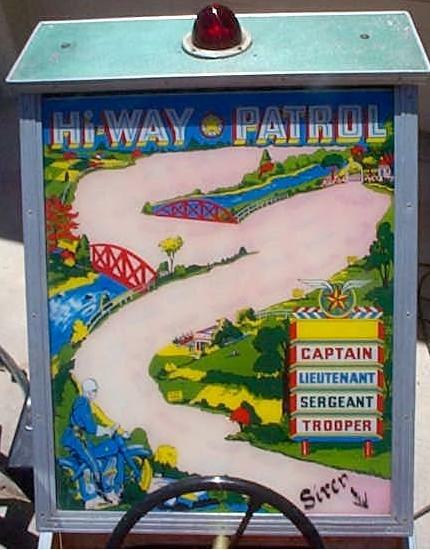 Depending upon how many times the robber is caught during the game you are rated as Trooper, Sergeant, Lieutenant, Captain, or 3-Stars. The light on top of the game turns on during play. 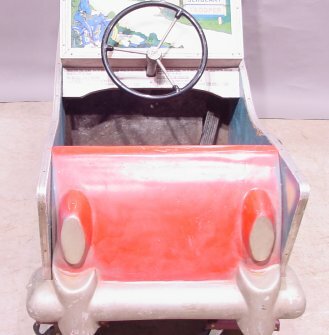 There is a endless loop tape system for sound, and the seat of the game vibrates during play to simulate the running motor of the car. 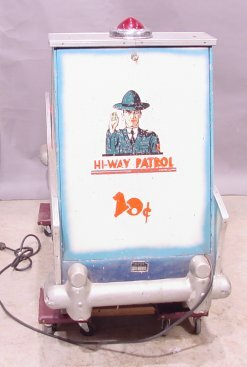 The dimensions of this machine are 43" high, 24" wide, 50" long. 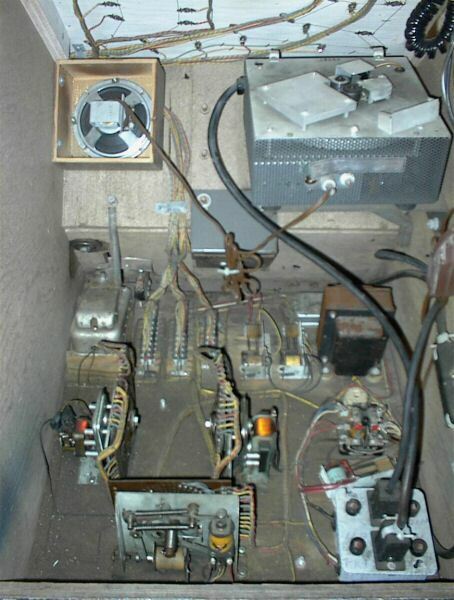 (the hole where it was mounted can be seen in the picture). 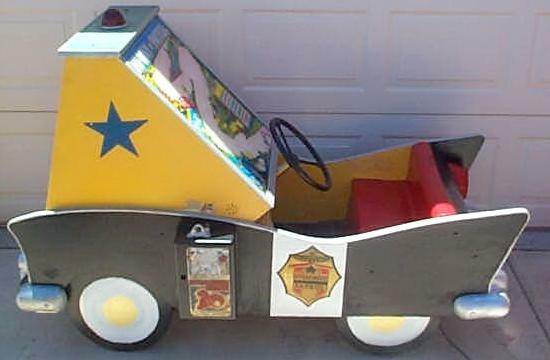 This one is repainted, but it does have the coin acceptor box on the front fender.